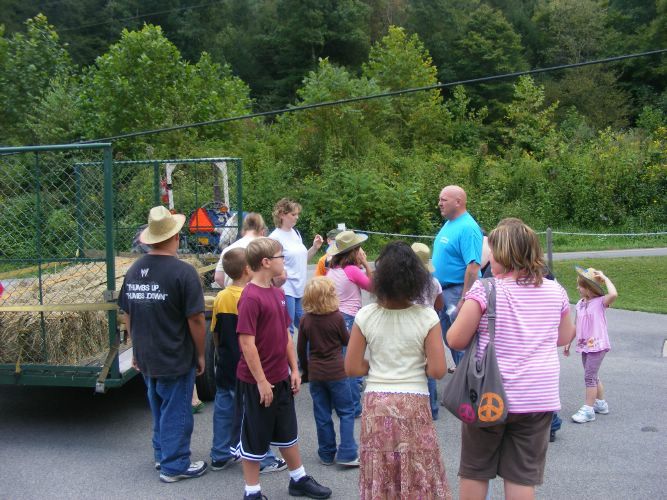 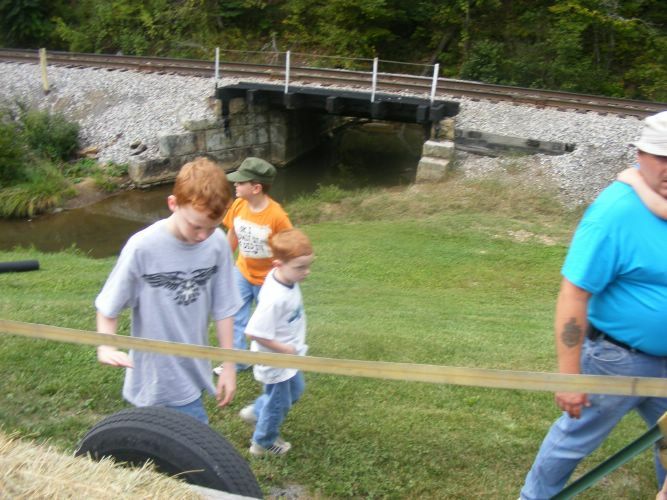 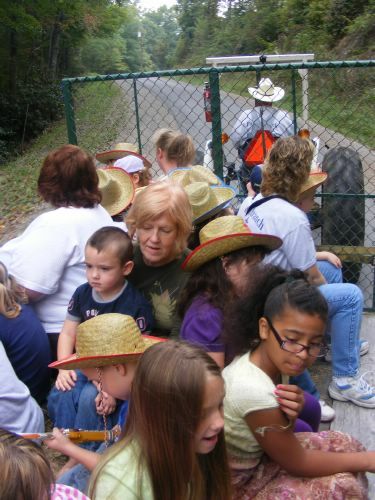 Master Clubs enjoyed their annual hayride Saturday afternoon with over 30 kids and several adults riding a loaded trailer 17 miles through an open countryside. 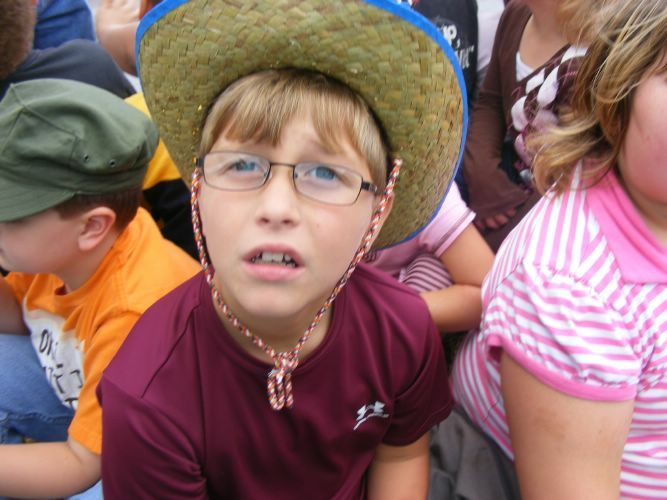 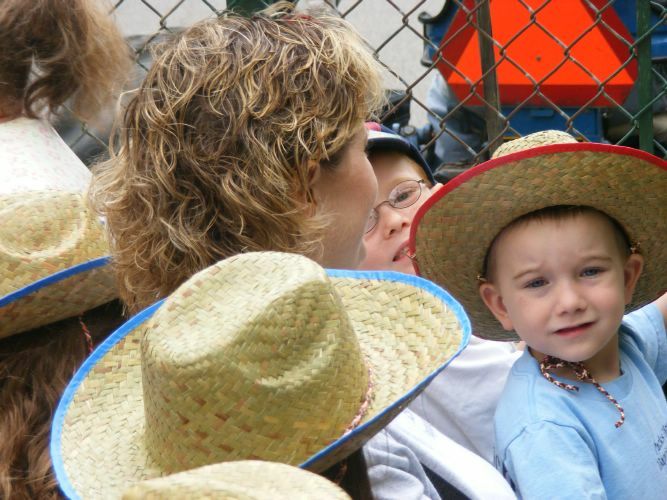 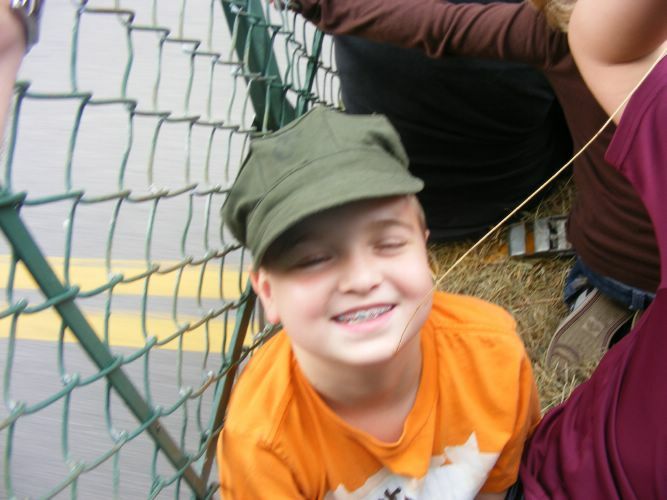 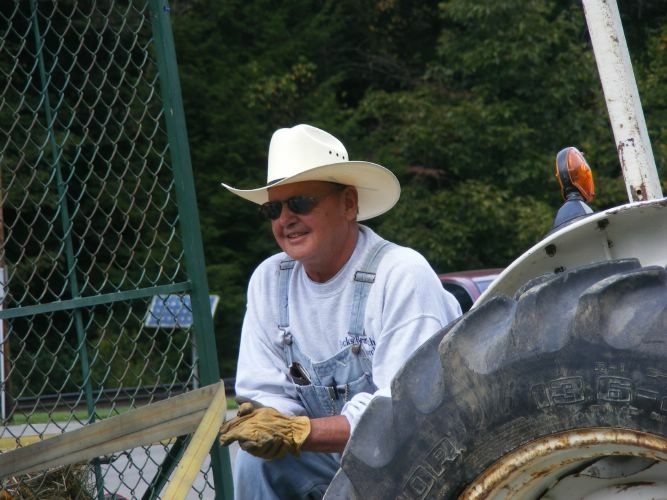 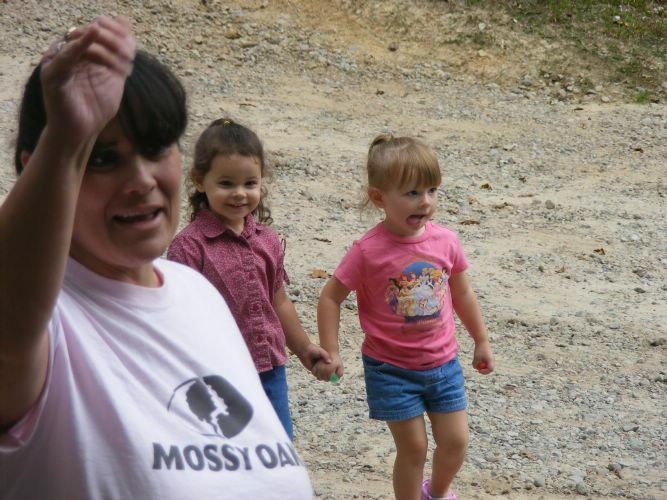 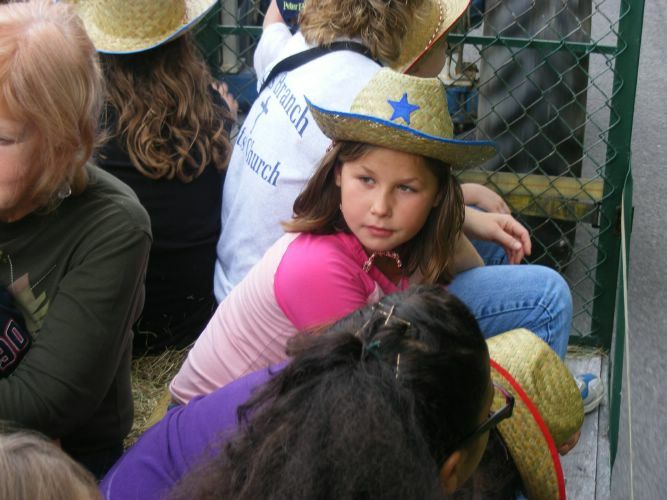 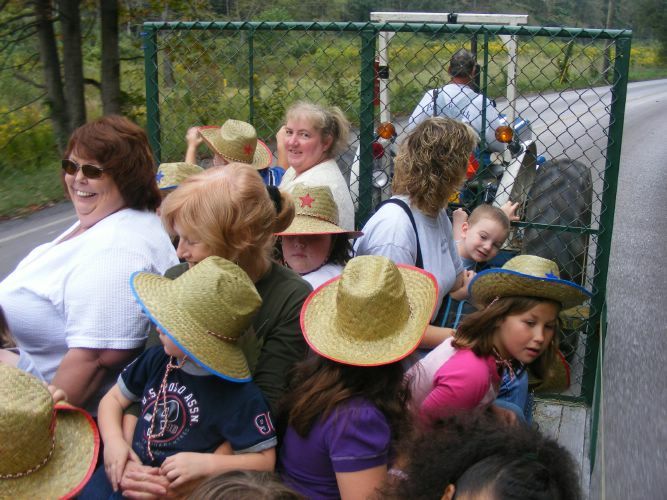 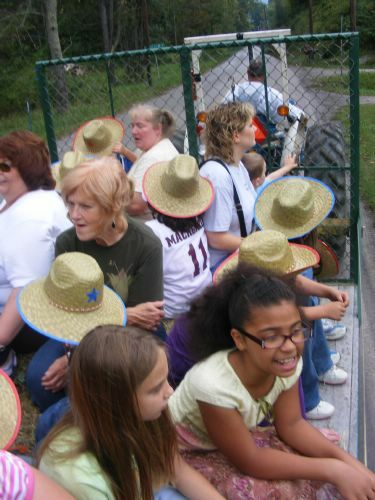 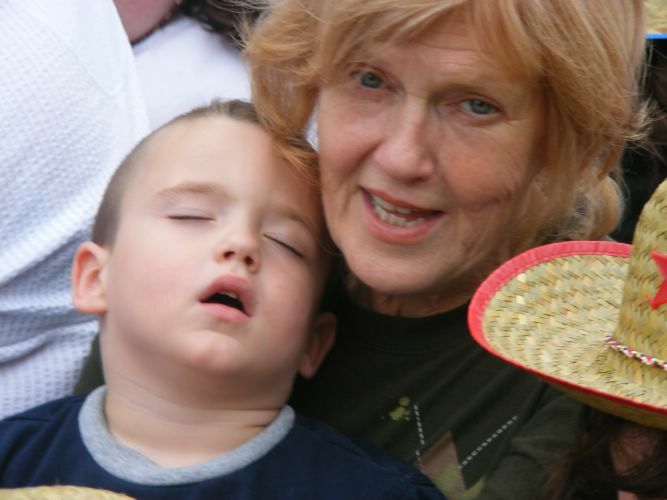 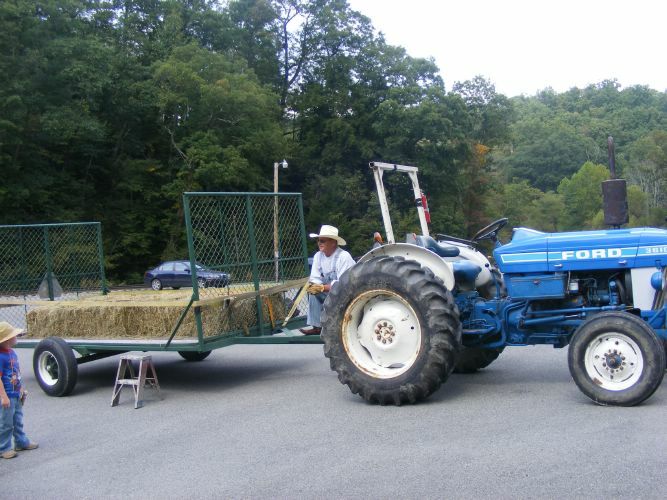 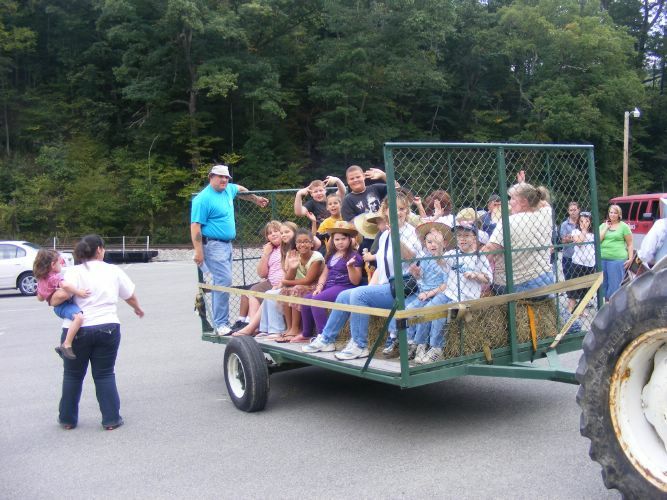 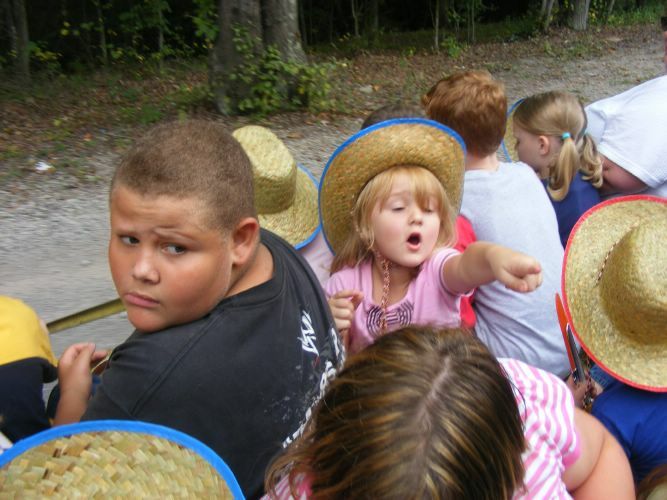 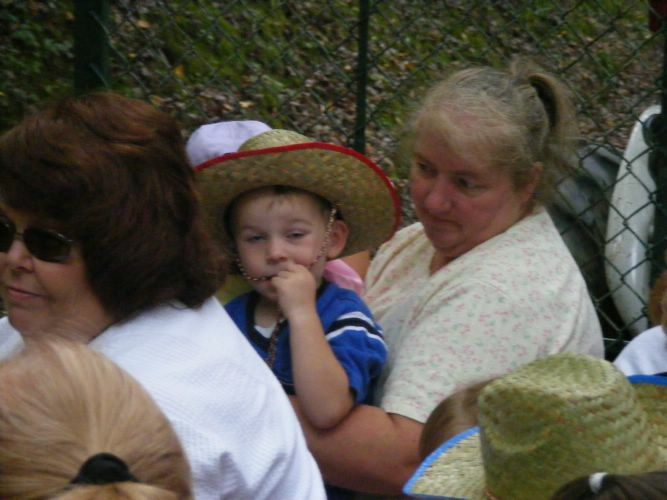 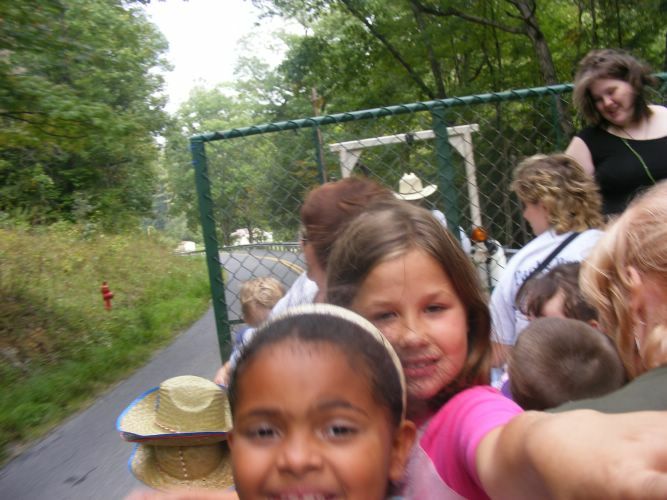 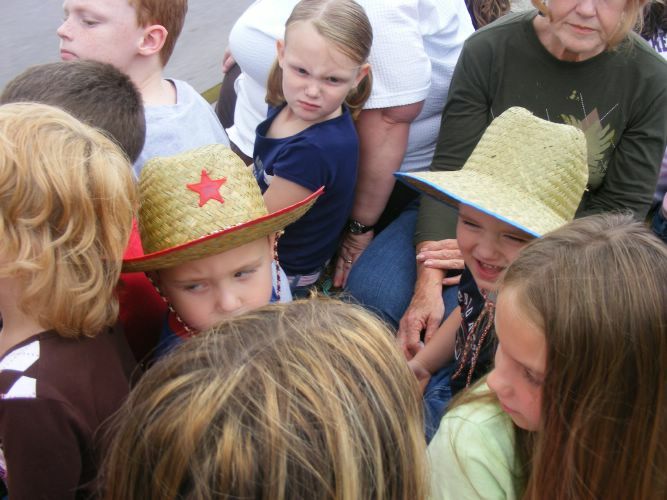 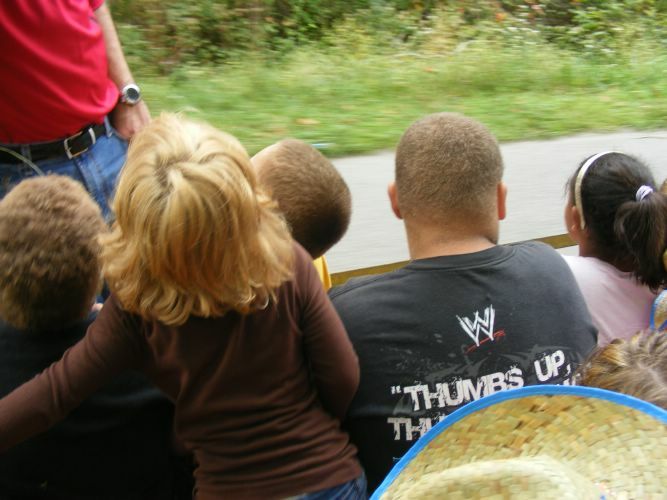 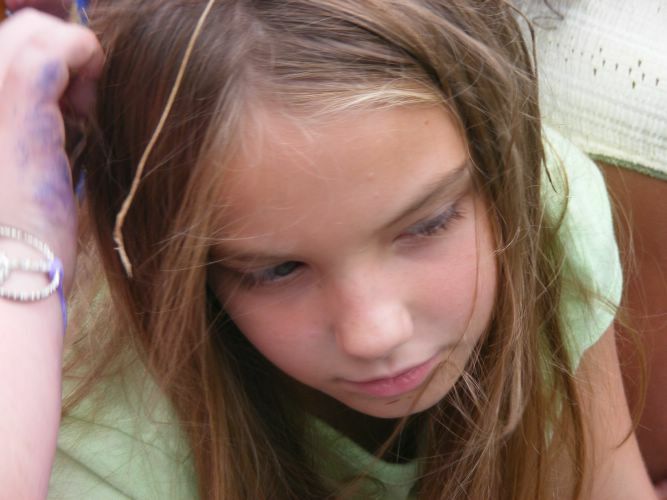 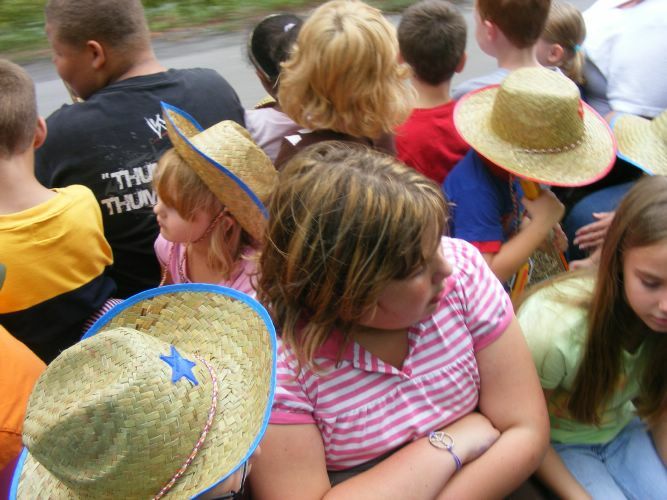 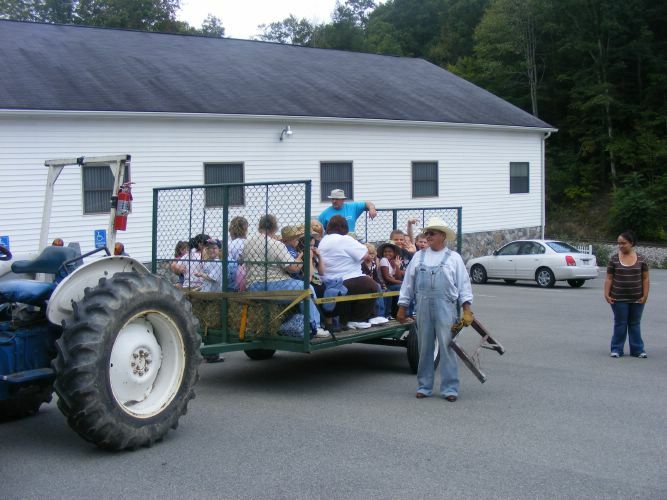 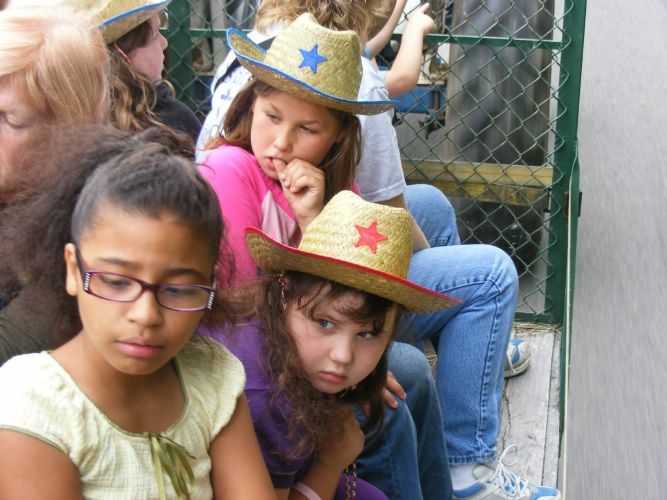 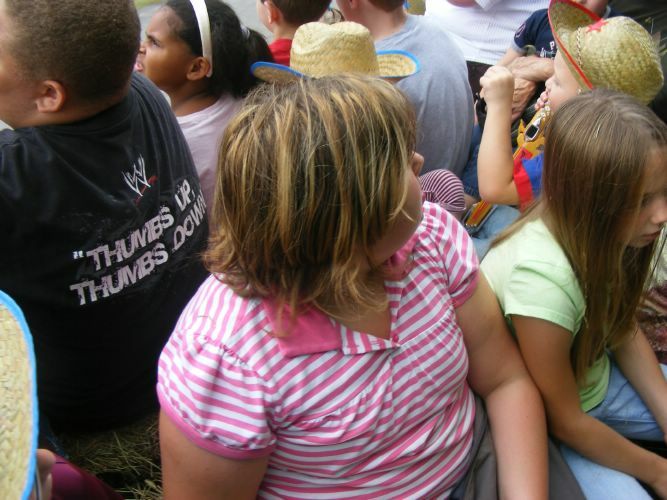 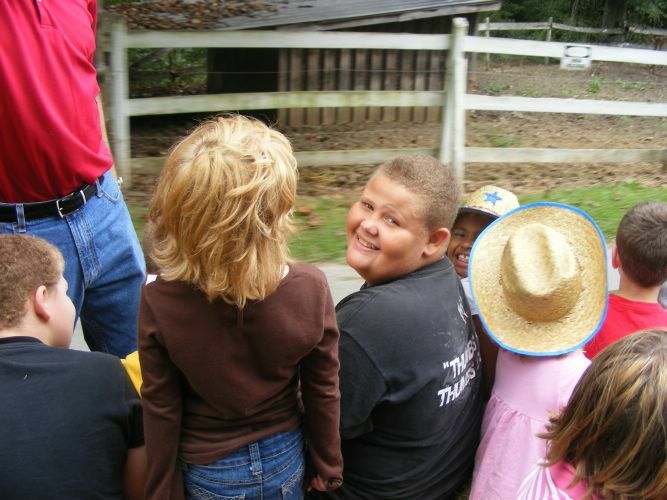 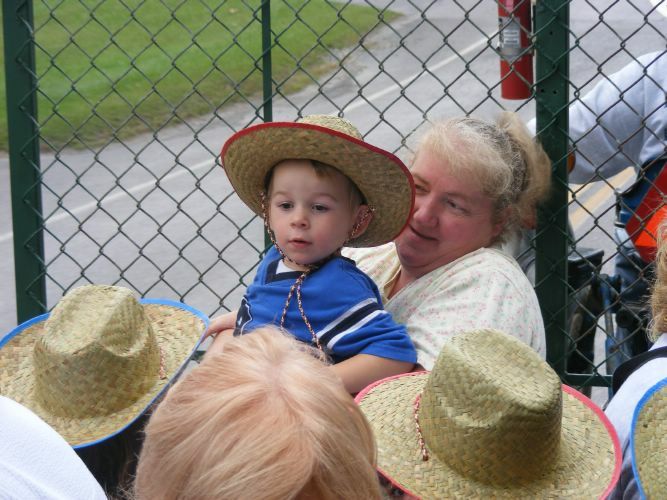 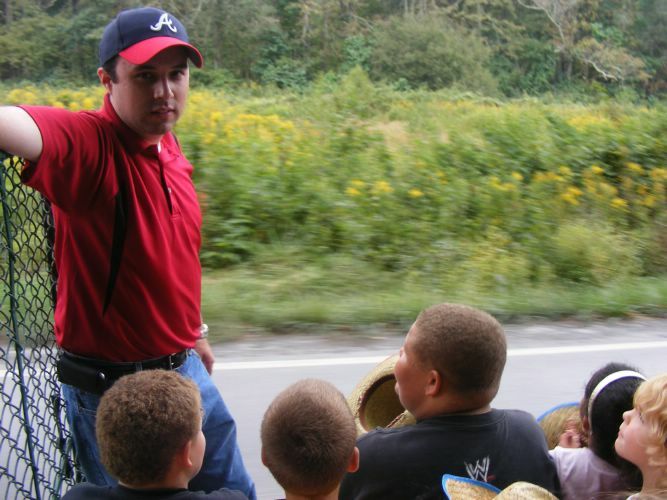 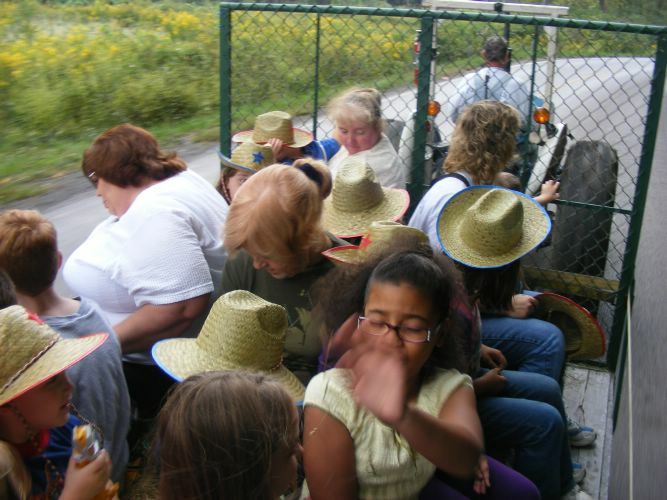 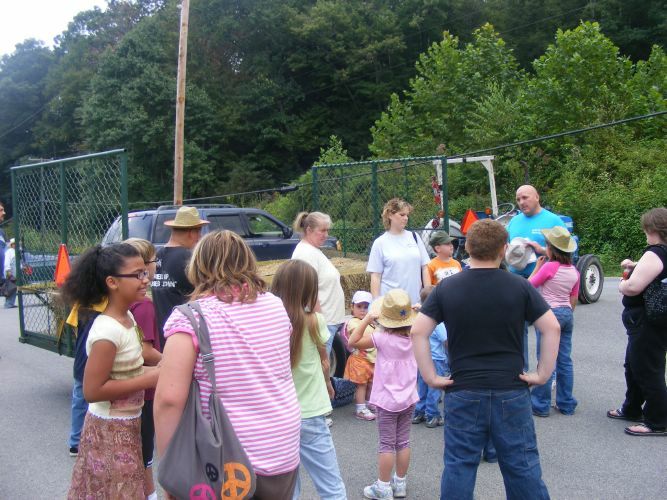 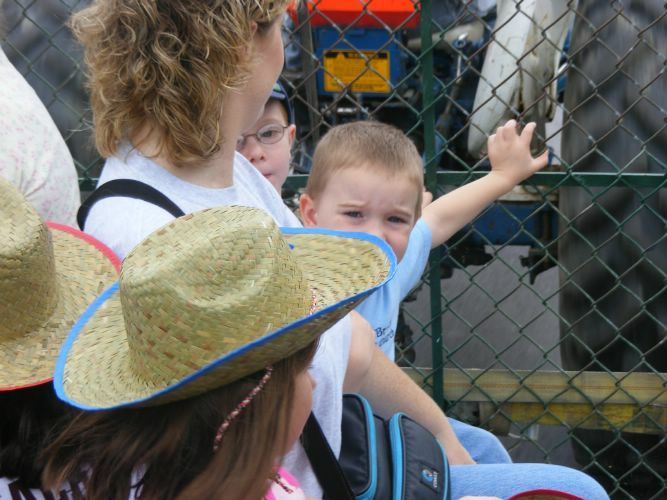 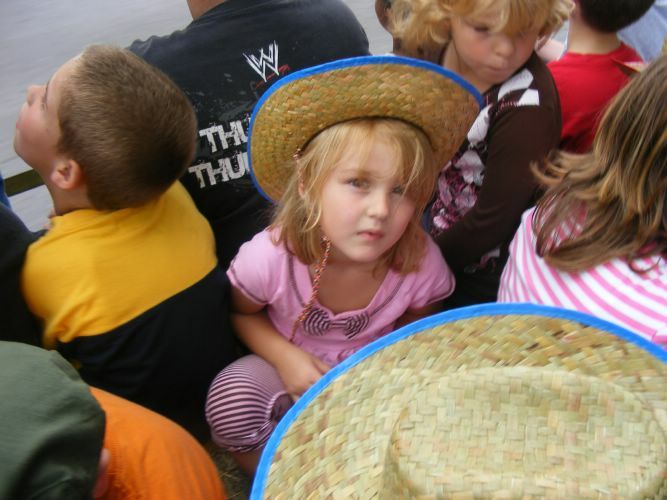 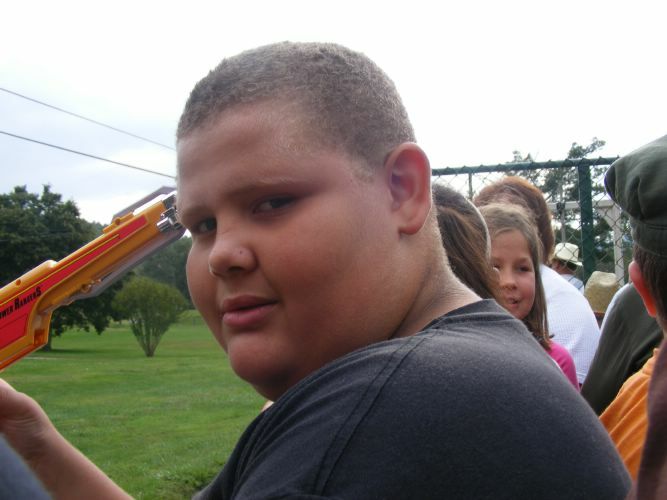 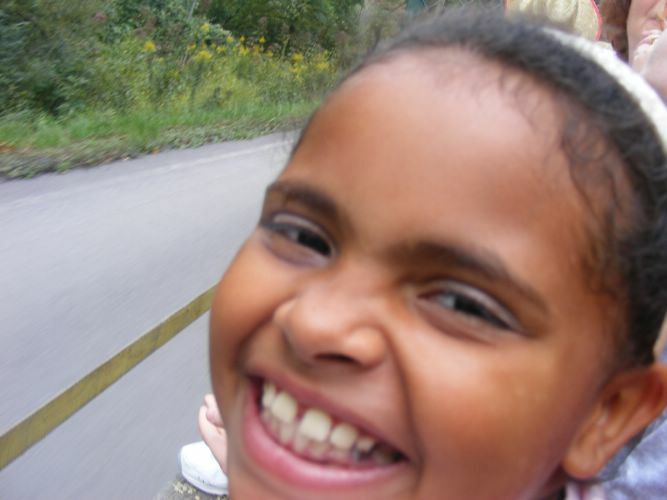 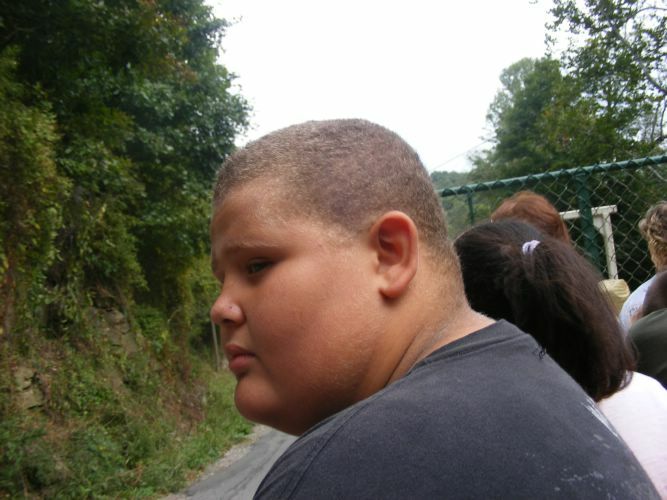 With partly cloudy skies and nothing but miles of country roads and open air ahead of us, the Master Clubs' kids and adults embarked on a two-hour hayride from the church to the lake and back again, sometimes singing, sometimes sleeping; but all in all, everyone seemed to enjoy the ride. 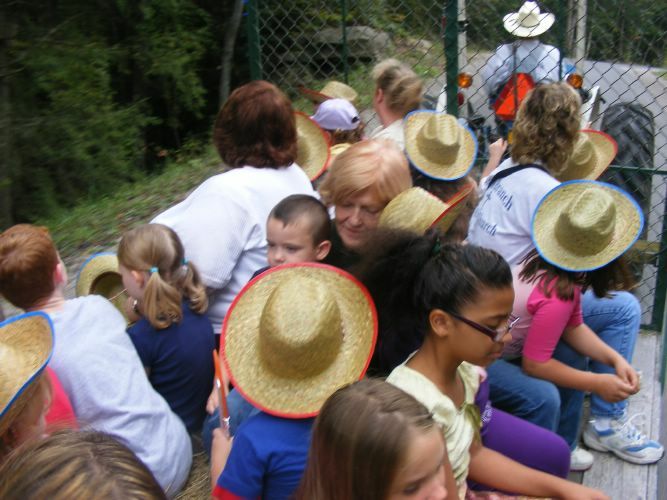 "Hats off" to our driver (and a few of the kids), who carefully maneuvered the precious cargo around squirrels, up and down country hills, past a goat and around the occasional passerby. 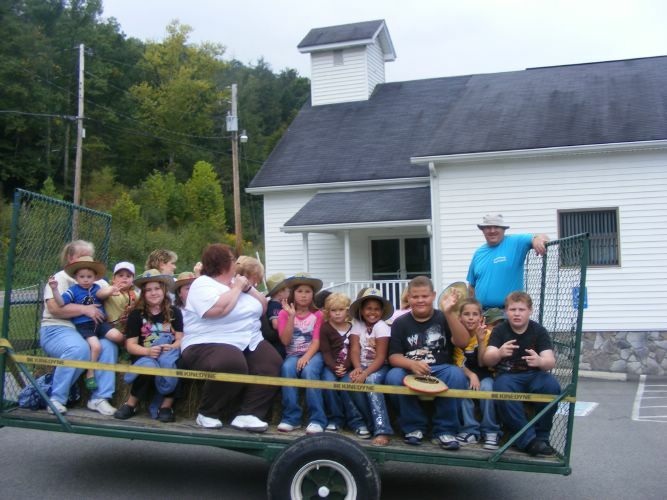 The trip ended back at the church where faithful workers had prepared some hot dogs for the country travelers. 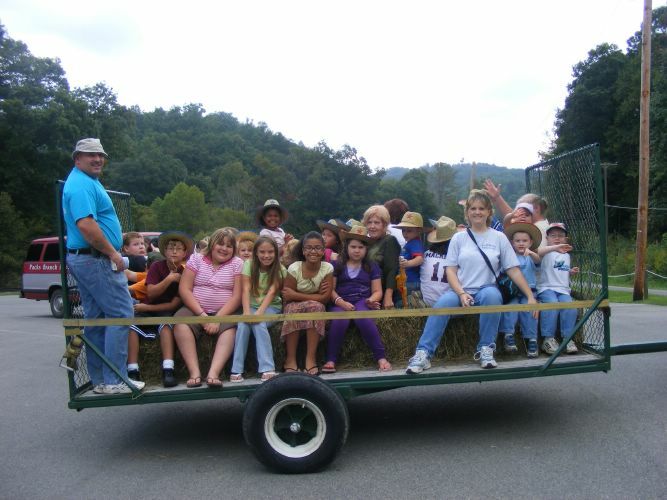 Everyone enjoyed the first of several planned Master Clubs events this year, and many thanks to all who helped and were involved! 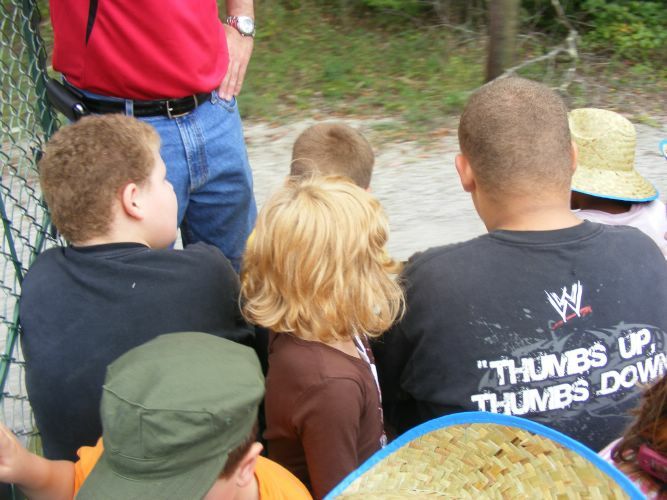 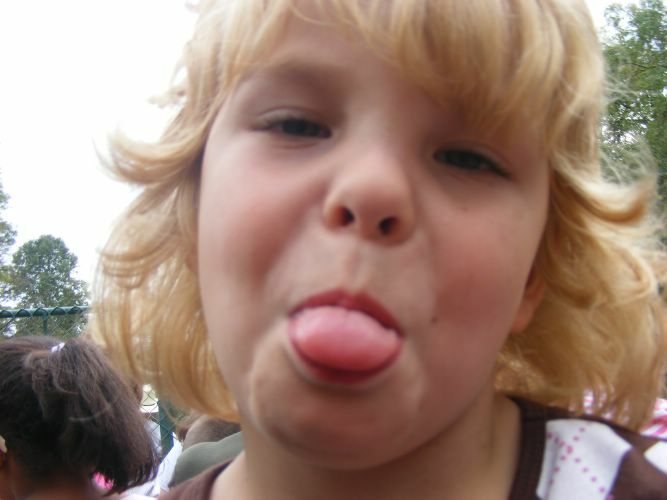 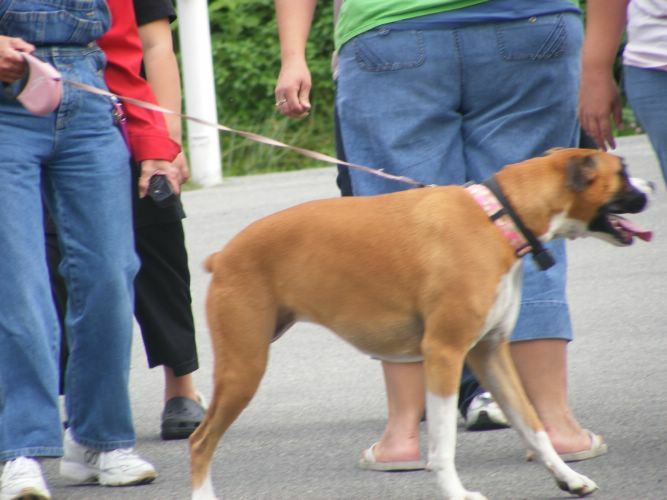 Click on the thumbnail below to view the full size image.